Our journey began in 2008 providing Christian apparel for kids to wear in the public schools in our area. We were shocked to hear about a few boys that got turned away from school to change the T-shirts they were wearing because it was viewed as a violation of the district dress code. These t-shirts were the “I LOVE JESUS” shirts and I thought to myself how could this be. I noticed kids were wearing t-shirts that contained nothing but negative imagery and I knew that I had to take action. I began to look for a name that I could use but wanted something unique and one that would invite people to ask “what does that mean”. Having a deep love and connection with Hawaii and it’s land, waves, culture and language, I searched for just the right Hawaiian word that I could use to plant that seed. I came across the word “Kalikiano” which means Christian in Hawaiian and loved the way it was pronounced (Kah-lee-kee-ah-no). It was beautiful, unique and described something about me, my faith and the beautiful land God created for us. 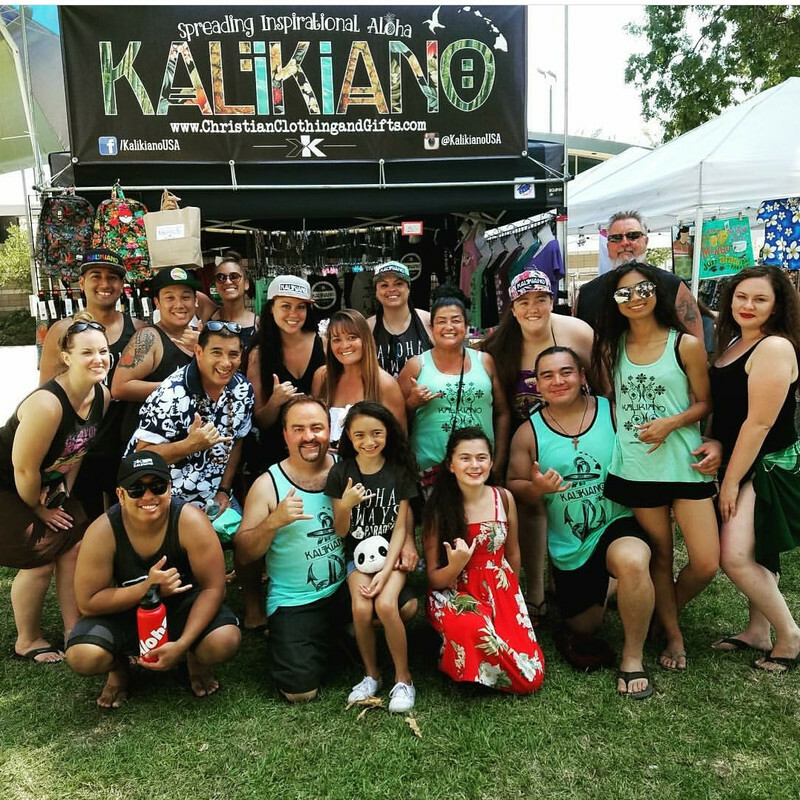 I began to ask around the Hawaiian community if they knew what “Kalikiano” meant and to determine how common the word was. To my surprise not very many people knew what “Kalikiano” meant so I immediately knew this was the right tool that I was to use for the job. We started production and a few kids began to wear our t-shirts. We noticed others asking what “Kalikiano” meant and they began to share their faith and God’s word in the public school. Under the radar perhaps, but a way that kids could express and share their faith with others in a positive manner. The cool bright designs caught on quickly and the kids were asking for more designs, even giving us feedback on what they recommend. We were asked to offer some girl t-shirts as well, so we did and then a teacher asked if we could make him a polo shirt that he could wear during class. We made him a professional polo shirt that was embroidered on the left chest with “Kalikiano” and “John 3:16” on the sleeve. He really loved it and was able to share his faith and the gospel with others who asked about it. As this began to take off I realized the seed that was being planted and the growth potential that this ministry had to help others with their walk. Not only by the person wearing the shirt but more importantly the person who was reading and asking about it.